As our participants are flying away to family and friends, or staying in cold winter wonderland Järna, we are taking a break and will be back in 2013! We thank you for your continues support, encouragement and inspiration. 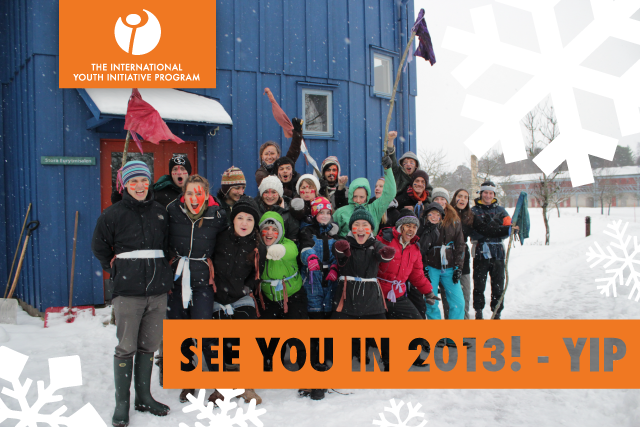 2012 has been a wonderful year full of transition & transformation and we hope 2013 will bring us strength, resilience and happiness, 1 million SEK, and another 40 participants for YIP6!